At The Law Offices of Shari R. Gordon located in Yorktown Heights and White Plains, New York individuals and families find professional legal counsel and representation in matrimonial and family law. Our law firm is dedicated to resolving your divorce or family law matter in a compassionate and effective way. Since 1986, attorney Shari R. Gordon has been guiding clients through the complex family law system, aiding them with divorce settlements and agreements, mediation, child custody, child and spousal support, domestic relations agreements and more. 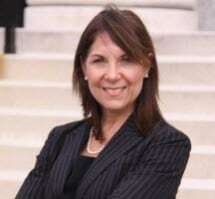 She presently serves as Co-Chair of the Families, Children & The Courts Committee of the Westchester Chapter of the Women's Bar Association of the State of New York, of which she is a fifth term elected Director. She also serves as Co-Chair of Elder Health and Reproductive Rights of the Westchester Women's Bar Association. In addition to her family law trial work, our law firm provides experienced criminal defense representation for individuals charged with DWI, drug offenses, assault and other crimes. Ms. Gordon has an extensive background as a former Senior Staff Trial Counsel with the Criminal Defense Division of the Legal Aid Society. For more than 30 years, she has also been a member of the First Judicial Department felony panel. Ms. Gordon is also Host of the First Friday program (WVOX 1460 AM) and a former co-chair of the Summer Justice Academy for Young Women at Pace Law School. The Justice Academy exposes students to the opportunities of a legal education and gives them confidence to pursue careers in the law. Located in Yorktown Heights and White Plains, New York, The Law Offices of Shari R. Gordon provides free initial phone consultations. Contact our law firm today.